Took the advantage of a warm sunny day (finally!) and made a quick trip to the shops nearby. I'm not a fan of The Body Shop, but bought a few things for massages and some stuff on sale. Also got a nice basic piece from ZARA, I'll see if the weather tomorrow is warm enough to wear it. My friend is arriving to London and there's a lot in the agenda, so it better be warm from now on! Your blog is freaking great. You always look smoking! In France the weather wasn't that great the past few days. 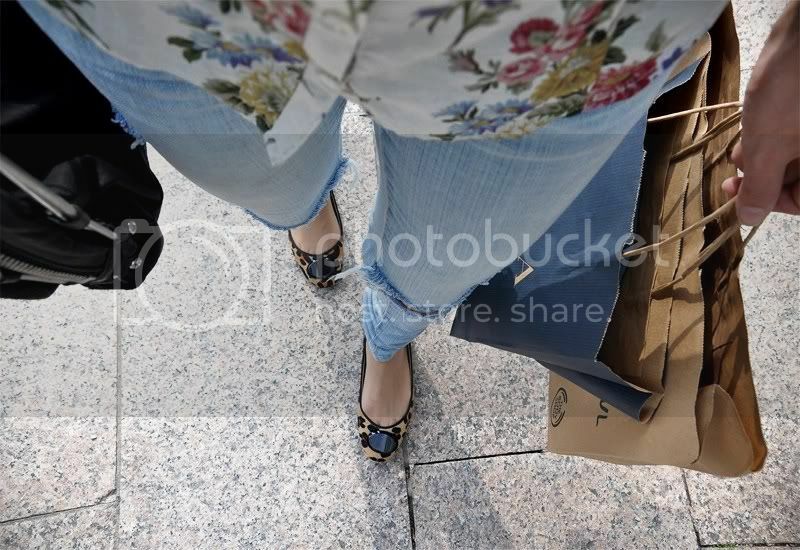 Combining leopard flats and a floral blouse ? Awesome ! is there any way you could post your pictures differently? when i look at your blog a lot of the pictures are missing and it just leaves a link in their place that says "photobucket".... any way to fix?? Thanks for letting me know, I had no idea! I'll try to figure it out, because it's really strange since I switched to a PRO-account on photobucket and there shouldn't be any problems.